Not Another Wedding Reception: Bali Wedding Report 2: How Much Did We Spend 1? Very sorry for the long delay. We were waiting for the photos and videos (Yes. They are out! In case you haven't saw them, go over to our Facebook page and check them out! Like us so that you can get the latest updates.) And then there is Chinese New Year. There are so many things that can be talked about that I am a bit lost over where to start. Here's some items in my mind, let me know if you want to learn more about something else by leaving a comment or email me! That's all I can think about for now. But let's start with the money! In total, we spent about SGD $36, 200. 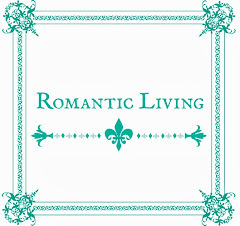 This includes everything such as dresses/tuxedo, accommodation for guests, miscellaneous entertainment fees such as meals with guests, 1 night pre-wedding villa stay with our family and our honeymoon. It DOESN'T includes rings (which we already bought during our ROM) and jewellery (which is a gift from my parents-in-law). Naturally, the biggest cost is Tirtha at SGD $20,400, since they cover our ceremony and reception, as well as photographer and videographer. 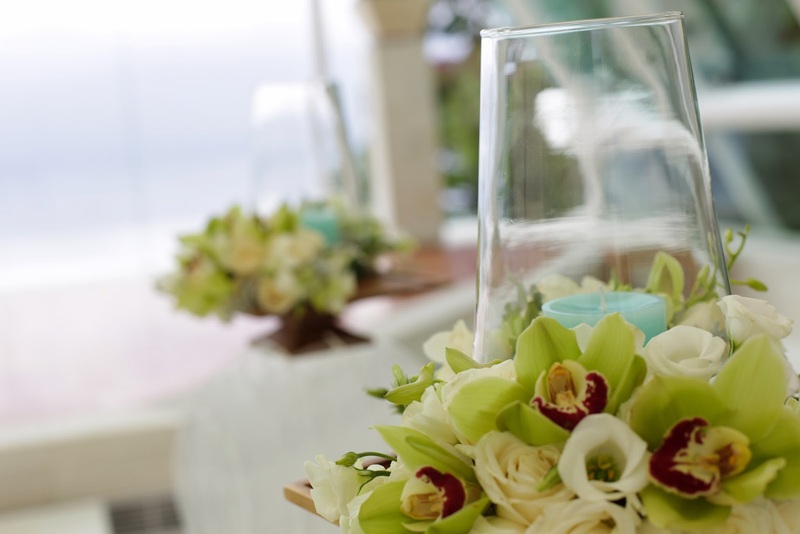 For those who just bump into this blog, we signed up with Tirtha Weddings 2013 Singapore Package for 50 pax (check out here , here and here for details). In short, we pay SGD 17,800 nett for a wedding ceremony, buffet lunch and drinks for 50 persons, hair and make up for the bride, 6 hours of photography and videography, and a wedding planner who liaise with us at Singapore and flew over to Bali to oversee all the logistics in Bali for us. The wedding planner is the most valuable help of them all, unfortunately they don't offer such service any more. It is a great pity, as I personally think that this will be their strongest selling point compared to other Bali wedding venue. 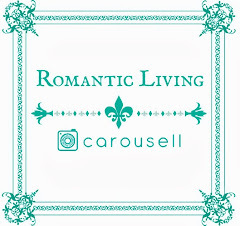 As we signed up the package during their opening promotion, we are also entitled to a upgraded flowers walk way valued at USD 550++. When we signed up with them, we were told that we are able to choose AXIOO as our photographer at no additional charges. It turns out that when we signed the package, their working relationship with AXIOO has not been formalized. Subsequently, as they finalized their working terms, we were told that it is compulsory to purchase an album at USD 1100++ if one would like to engage AXIOO as photographer. But since we were being reassured that no additional cost will be incurred early on, they honoured that promise and we were lucky to get AXIOO at no additional charges. Do note that the service offered by AXIOO in collaboration with Tirtha is AXIOO express. You can find more details here and I will write a review about them later. We topped up USD 1,100++ for the flowers. The proposal was custom-made for us based on our colour theme, ie. a mixture of blue/ aqua as shown in previous post. I didn't use the makeup in their package since I preferred LONA. The value of the make up (USD 550 ++) and the free upgraded flowers walkway (which I don't want too, valued at USD 550 ++) was deducted from the total price at 50% discount, ie. I got back USD 550++ for omitting these 2 items. We paid for the tea ceremony (USD 200++). It is nicely decorated and was held in Tirtha Luhur pavilion. Amazing view, right? We also paid for 2 x Rain Chaser services at USD 150++ each, one for the welcome dinner since Harris Rooftop is open air and one for the wedding. I highly recommend their services as we literally see rains and clouds disappearing in front of our eyes for both times. We added 13 dozens canapes to be served during the cocktail/ tea ceremony session. It costs us USD260 ++ but they were fantastic! 2 set of TV rental costs us USD200++. We paid SGD 500 for alcoholic beverages. This is much lower than I originally budgeted as it was very very very warm in the dining lounge in the afternoon thus most people (including me) didn't really drink. 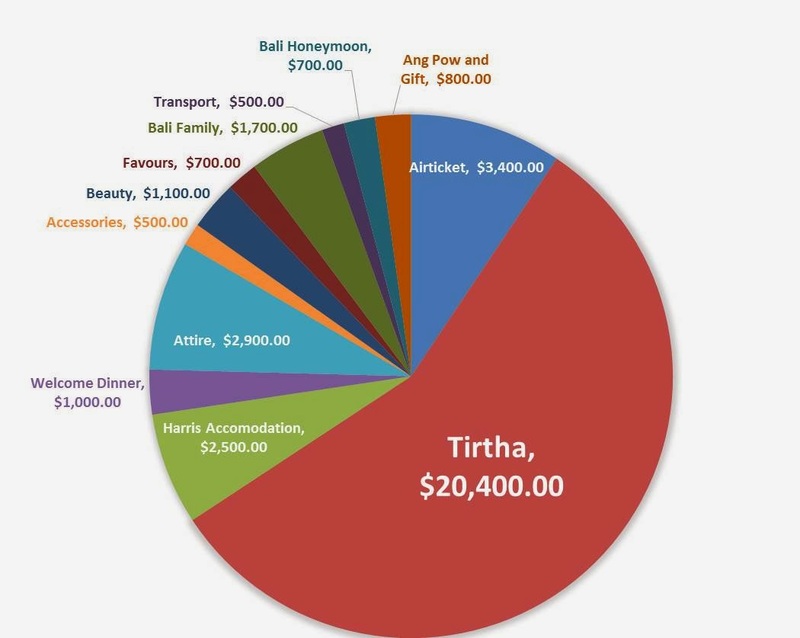 Compared to the SGD 22,000 I originally budgeted (see here) for Tirtha, we spent slightly less, mostly due to alcohol. However, I under-budgeted other stuff such as favours (which we originally didn't want one) and angpow (totally forget about this) thus eventually the total cost is slightly higher than SGD 35,000, which is the total budget I have in mind. Meanwhile, enjoy your new year!